2019 has begun on a good note. Sophie Says by Judy Balan, turned out to be an excellent first read of the year. I downloaded the book on Kindle, on a whim. To tell you the truth, the tagline, Memoirs of a Breakup Coach, tilted the scales in favor of this book. I mean, we do know about Love Gurus or Relationship Counsellors, but a Breakup Coach! Well, I had never heard this word before. I didn’t know if such a profession even existed! So, my curiosity was bound to fire up! Judy’s smart tagline worked and within seconds of downloading the book, I was hooked and a few minutes later, literally in splits. Full marks to the author for managing to write such a funny story, without losing the plot or her signature style. The plot is interestingly woven. Story of a 30 year old single Tamilian Christian woman, who ends up quitting her job and boasting about a fake boyfriend on the same day, is bound to be funny. But if that hired boyfriend turns out to be a self professed Relationship Counsellor, then the sparks are bound to fly, left, right and centre. And this is exactly what happens when Ryan and Sophie, the two diametrically opposite sides of Commitment-Sphere, decide to make each other’s life, a bit more difficult, by posing as a couple! Throw in a past lover and two heartbroken best friends, and before you can understand what’s going on, Judy Balan takes you on a rollercoaster ride, making you laugh loud and hard at the eccentricities of life. 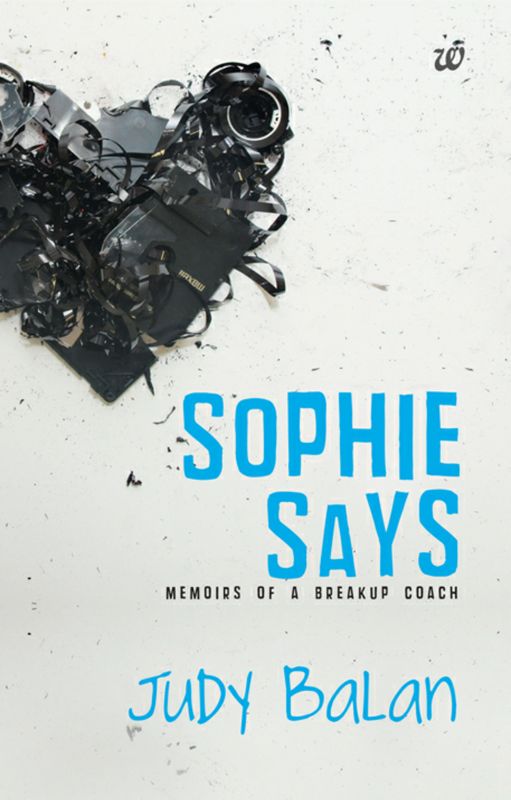 The strategy to present Sophie’s real life and philosophies as a Coach alternatively, made the book even more appealing. As she was poles apart in her life and her words, the reader gets to see her two sides and laugh at the irony. The bits and pieces of her articles as a blogger, masquerading as a Breakup Coach, was what made the story even funnier and relatable. Judy’s lucid engaging narrative, added icing on top. Her command on language is top notch. And her habit of coining new phrases and words, infectious. I thoroughly loved her writing style. Enjoyed every bit of Sophie Says. I would recommend it as a light hearted read, that would warm up your heart, and yet teach a few lessons on how to be true to yourself, before marching out to change others!